This entry was posted on March 17, 2012, in Entree, Menu Item, Uncategorized. Bookmark the permalink. 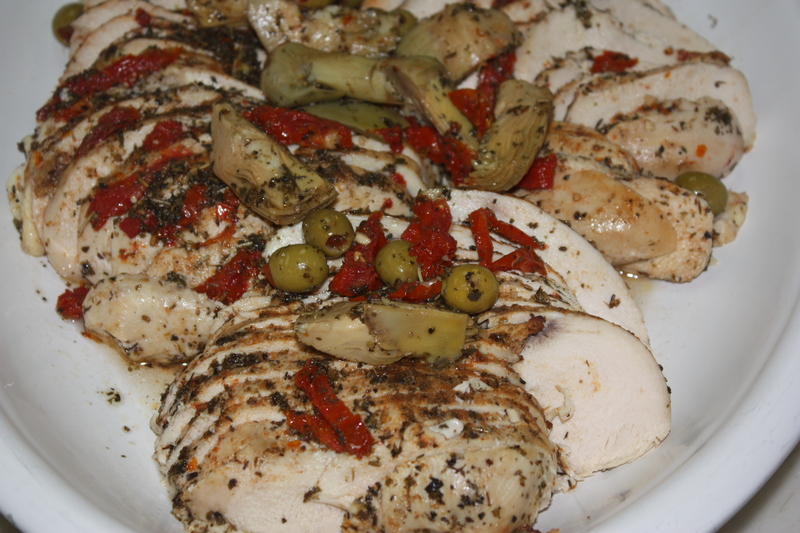 The chicken valencia features sliced, all white-meat chicken breast, covered in a light, white wine and olive oil sauce. This entree is garnished with green olives, artichoke hearts, and sun-dried tomatoes. Serve with one of our side salads for a tasty meal.